We have just completed the re-design of the Boyles Pet Housing ecommerce website and we couldn’t be happier with the results. 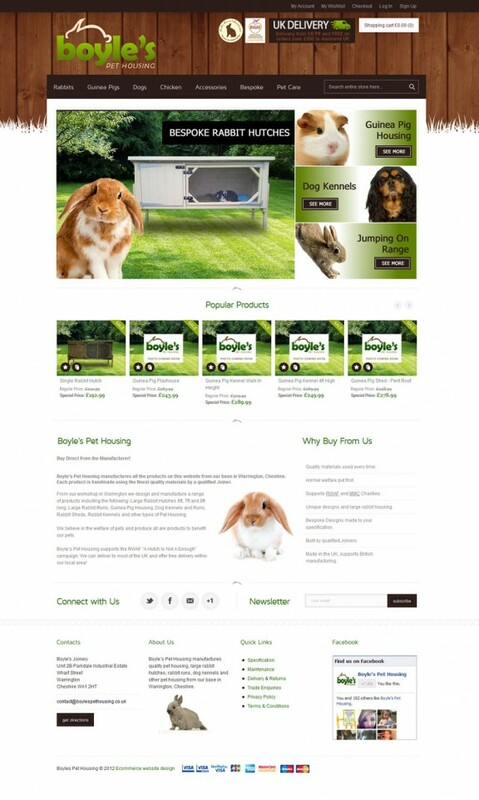 Daniel from Boyles has been great to work with and together we have developed a stunning ecommerce website to sell a range of pet housing, including rabbit hutches, guinea pig houses, rabbit runs, chicken coops, dog kennels and loads more. The design for this company was very important so we started off with a complete re-branding. We have created a slick logo that can be used throughout Boyles marketing, bringing together strong colours, recognisable fonts and our swish, hand drawn rabbit icon. Bringing together these elements has really created a stand out brand which we are sure will help make Boyles Pet Housing a huge success online. 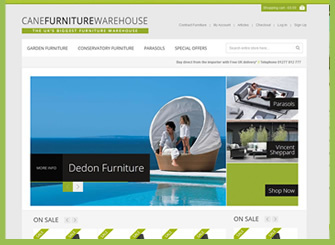 The ecommerce website itself also has a very strong design theme. As this is a maily wood based business, we have used a nice wood panel background with some hand drawn grass vectors over the top to really catch the users attention the moment they visit the website. The homepage is very visually appealing and easy to use with a clean and clear menu system, followed by an attractive slider and banner area. 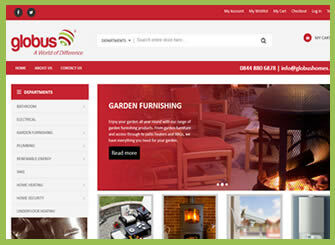 All of this comes together nicely to create a great user experience for all of Boyles potential customers. 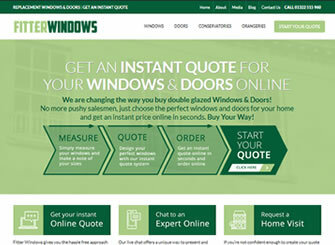 Usability is very important for any ecommerce website and the Boyles Pet Housing website is definitely user friendly. We have incorporated a variety of menus to make it easy to find the exact product you are looking for. We also have an easy to use form to let people order a bespoke pet house to match their exact requirements. 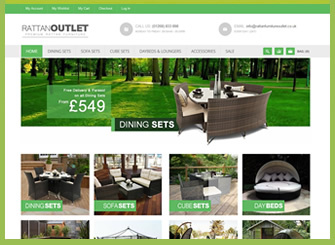 You can register as a member for this website to save time when making more than one purchase and we have even given Boyles the ability to add special offer codes to the website to give users a special discount from time to time. 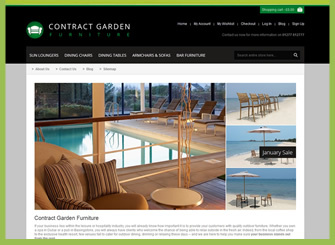 Over the years I have worked with a few web design companies and I have to say the service Neil and Unltd Ecommerce offers is second to none, great support, very helpful and most importantly very knowledgeable which is something a web design company needs. Neil easily stored out a few problems for us and Unltd Ecommerce created us a fantastic logo and website and Neil was also happy to give advice anytime during the day or night. 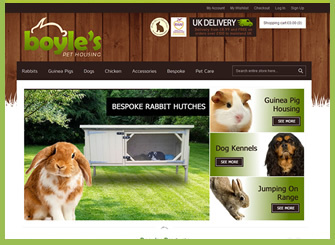 Boyles Pet Housing make some amazing rabbit hutches, guinea pig houses and lots of other pet products. 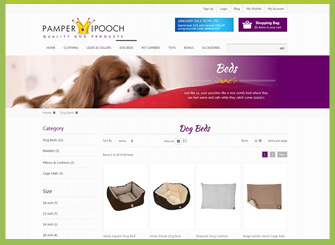 Please be sure to visit their ecommerce website to find the perfect home for your pet.